Hello, friends. It’s Monday (yawn), let’s talk coffee. If there is something we need at the start of a new week it is a big glass of Vanilla Cold Brew Coffee. Let’s do this! My love affair with coffee began shortly after the birth of our first child. Our little Jake didn’t sleep through the night until he was 2 1/2 years old. That is roughly 910 days (910! 910!) without a solid chunk of sleep. My morning cup of coffee got me through many of those days. These days I don’t rely on caffeine to get me through my days but I still love a great cup of coffee. 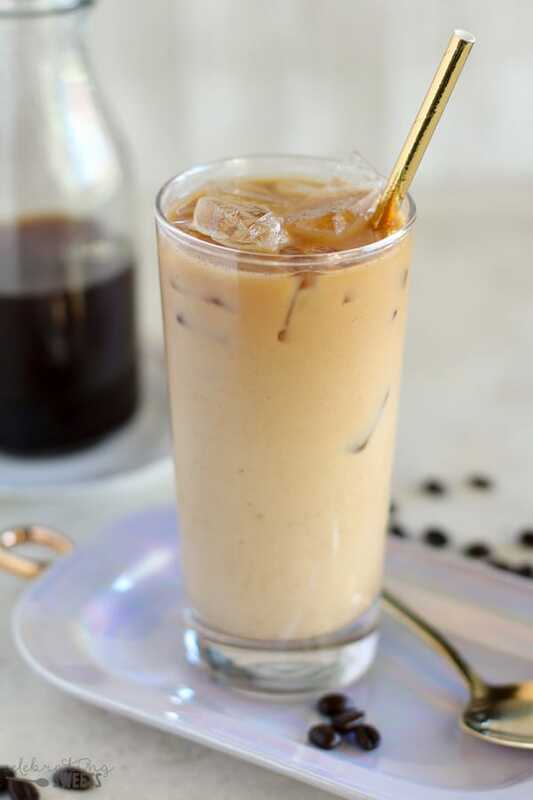 As the weather warms up I typically switch from hot coffee to iced coffee – and this here is my very favorite iced coffee. 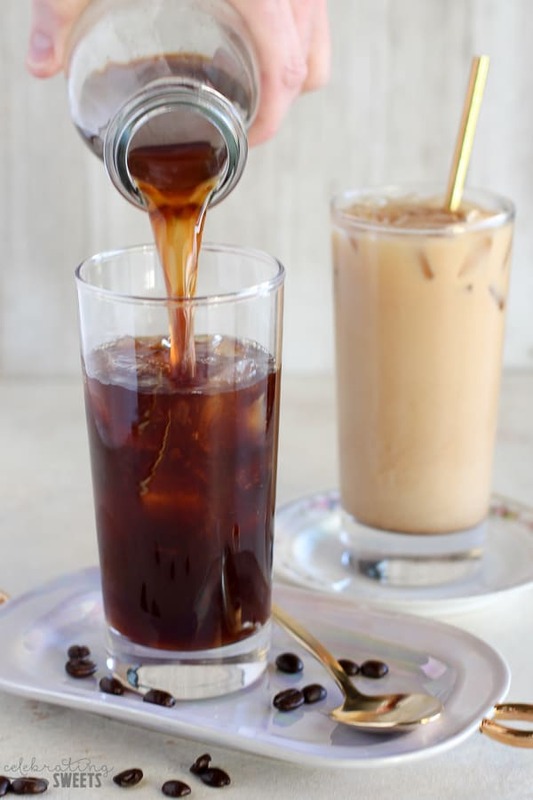 Cold brew coffee is made by combining coarsely ground coffee beans with water (I add a vanilla bean too! ), and then allowing it to sit in the refrigerator for 12-15 hours. The mixture gets strained and what is left is flavorful, smooth coffee. I also go the extra step of adding fresh vanilla bean to the strained coffee, which adds a subtle vanilla flavor with lots of beautiful vanilla bean flecks running through. 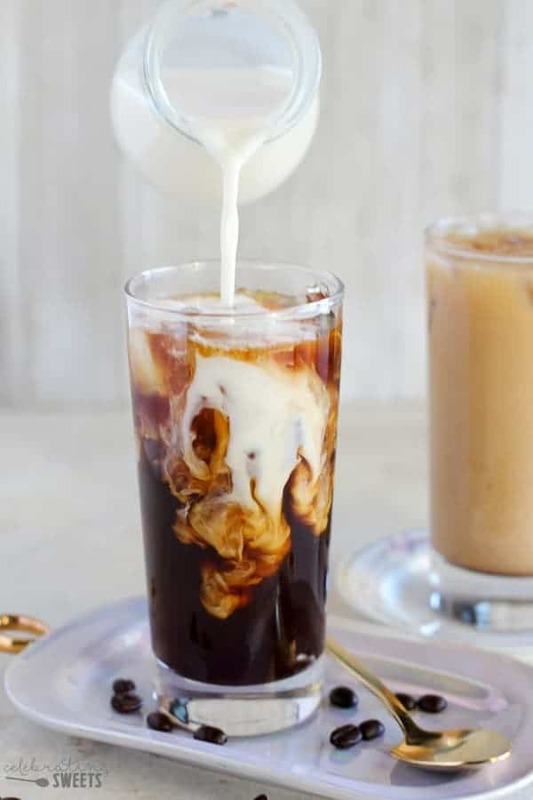 The perfect way to serve this coffee is in a tall ice-filled glass with a generous pour of Simply Pure Vanilla Coffee Creamer. Simply Pure is my creamer of choice because it contains only 5 simple ingredients with no artificial flavors or colors. 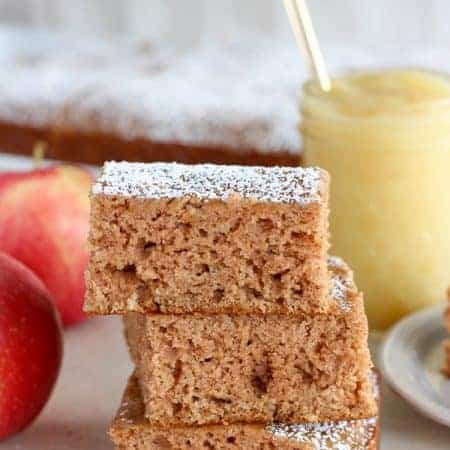 It is a delicious way to add flavor to your daily cup of coffee. 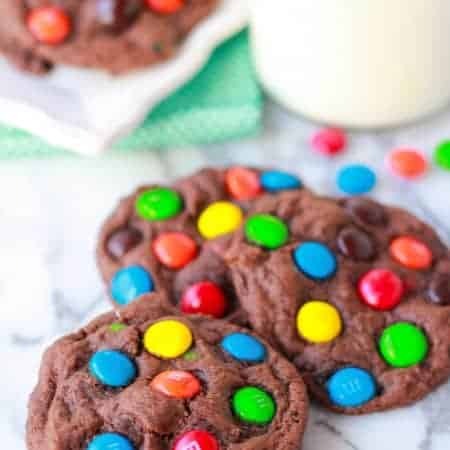 I used vanilla creamer for this recipe because I wanted to reinforce the vanilla flavor that’s in the coffee itself, but Simply Pure also offers a caramel flavor. Note: Cold brew coffee tends to be more caffeinated than traditionally brewed coffee. When making cold brew I typically mix regular and decaf beans before grinding them. Feel free to make this all decaf, all regular, or half and half. Pour yourself a big glass, and let’s tackle the day! Easy homemade cold brew coffee infused with vanilla bean and served with Simply Pure Vanilla Coffee Creamer. This smooth, creamy and slightly sweet vanilla coffee is just as good as the coffee house versions. 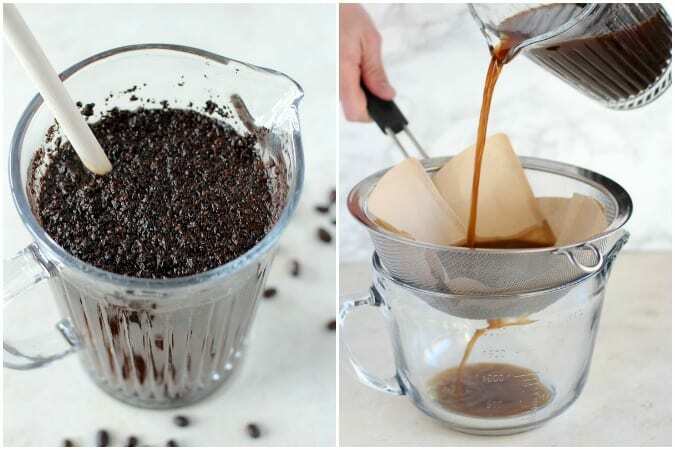 Coarsely grind the coffee beans and add to a large pitcher or bowl filled with 4 cups filtered water. Add vanilla bean and stir to combine. Cover loosely and refrigerate for 12-15 hours. Line a mesh strainer with cheesecloth or coffee filters and place over a large cup or bowl. Pour the coffee through the strainer, reserve the vanilla bean and discard the grounds. Rinse off the vanilla bean to remove any coffee grounds, then use a paring knife to scrape out the beans from inside the pod. Add the vanilla beans to the coffee and whisk to combine. 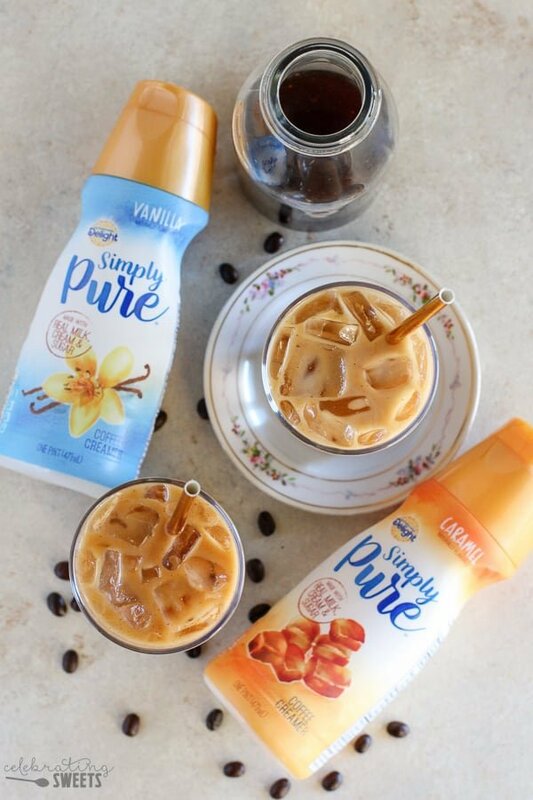 Serve coffee over ice with Simply Pure Vanilla Creamer. If your coffee is really strong and concentrated you can dilute it with a little water. Leftovers can be stored in the fridge. 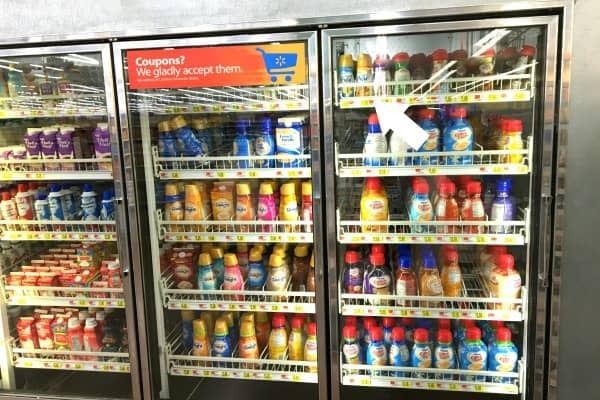 I purchased Simply Pure Creamers at Walmart. I love the cold brew but never made it myself! I really should! This is just fabulous…cheers! Love cold brewed coffee, but have never thought of making it myself. I will have to have a go at this. 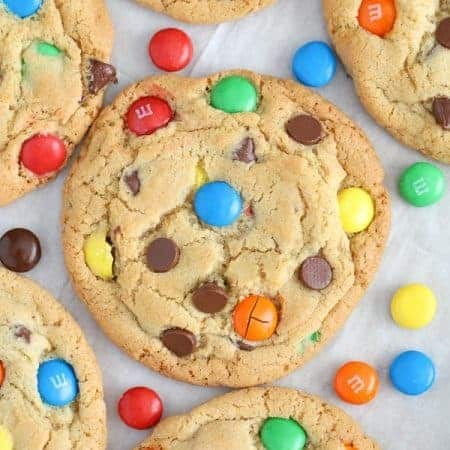 Love the addition of the vanilla bean to change things up. The creamer makes it a wonderful brew. I love a good cold brew! Wish I was sipping one of these right now!